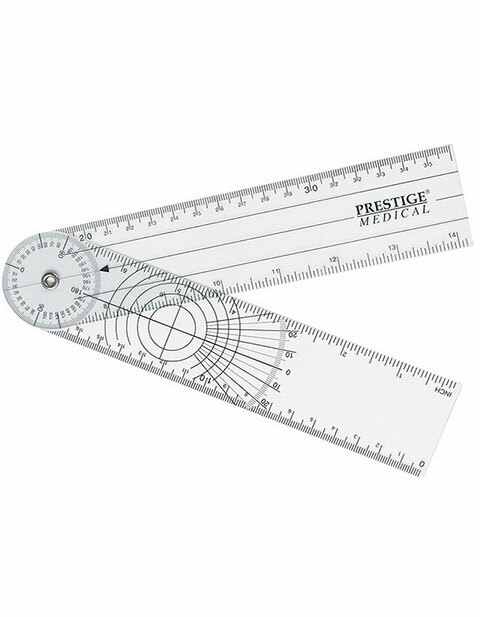 This handy and carry anywhere transparent Goniometer from Prestige. Whatever therapeutic field you specialize in, you'll find this Goniometer is handy for measuring the degree of movement and spinal displacement of your patients and clients. It is made of durable plastic and it fits easily in almost any pocket. It can measure a range up to 360 degrees.